Demand for mall and shopping center space by retailers fell to its lowest level in six years in the first quarter of 2018 as retailers continued to focus on their top-performing locations and shed marginal stores, with announced store closures totaling nearly 100 million square feet so far this year alone. The balancing act was reflected in the first quarter 2018 retail vacancy rate for the U.S. commercial real estate market, including Philly retail space, which at 4.6 percent was unchanged from the fourth quarter of 2017 and just a tenth of a percentage point lower than a year ago. Net absorption of U.S. retail space fell to 11 million square feet in national and Philadelphia commercial real estate markets, the lowest quarter for mall and shopping center demand since 2012, according to data presented in CoStar’s First-Quarter 2018 State of the U.S. Retail Market report. “As the national retail vacancy rate has begun to flatten, the pace of the recovery has slowed. In fact, we can call an end to the recovery,” said Ryan McCullough, senior managing consultant for CoStar Portfolio Strategy, who co-presented the report with Director of Research Suzanne Mulvee. While retailer demand for store space has slowed among national and Philadelphia commercial real estate properties, it has not stopped, contrary to perceptions in the broader market fueled by headlines of closures and bankruptcies of big-box tenants like Kmart and Toys R Us. Expansions by restaurants, grocery stores and other food-focused retail tenants, as well as health-care and other service providers and smaller local shopping center tenants dealing in U.S. and Philadelphia commercial real estate listings, continues to drive leasing and net demand growth for the retail sector, McCullough said. 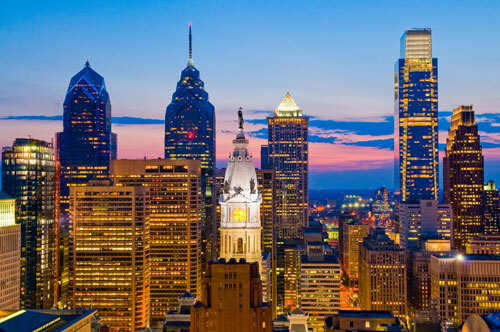 The U.S. commercial real estate market – including Philly retail space – is performing differently in different parts of the country. In recovering housing markets and other high-growth Sunbelt metros, retail vacancy has continued to decline and post strong leasing momentum. 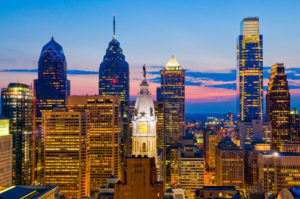 Meanwhile, demand has softened in core coastal markets among national and Philadelphia commercial real estate listings with high quality, new space becoming tougher to find, McCullough said. “The most damaged markets are healing the fastest, with demand growth growing fastest in higher vacancy markets and markets with the healthiest fundamentals seeing the least expansion,” McCullough added.